I have been reading Made By Rae‘s blog for several years now. She always has some awesome projects going on, patterns to download and tutorials to follow. This year I decided to participate in the Spring Top Sewalong! 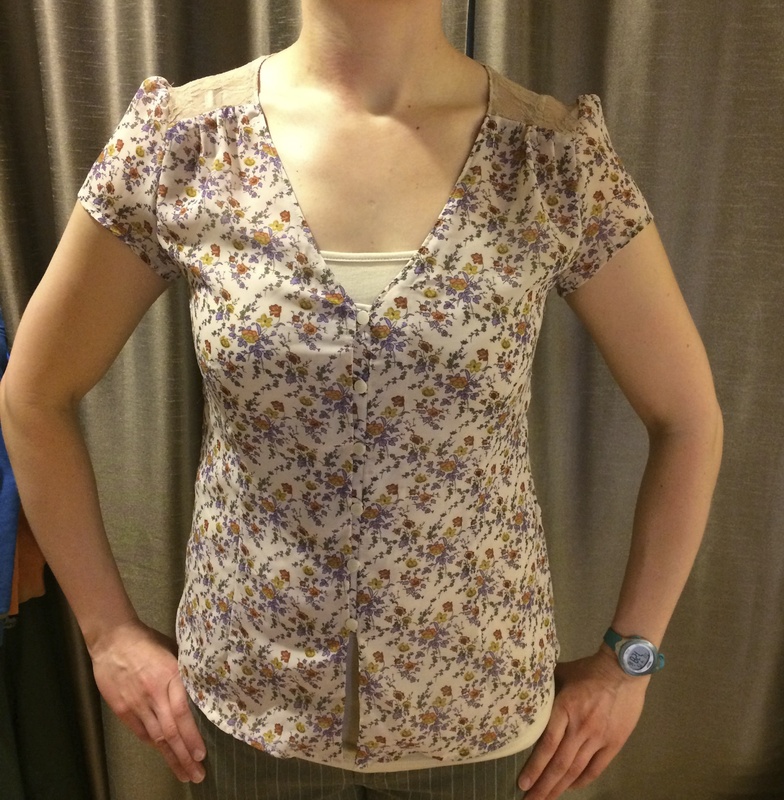 It’s basically an excuse to sew a new top for yourself….not that I need an excuse….but it definitely gave me a goal! I really liked both the short and long sleeved version, as well as the skirt. I could see myself wearing something like that to work, if I weren’t sitting with my legs spread-eagle every day while I work on patients. The skirt–not so practical for me. 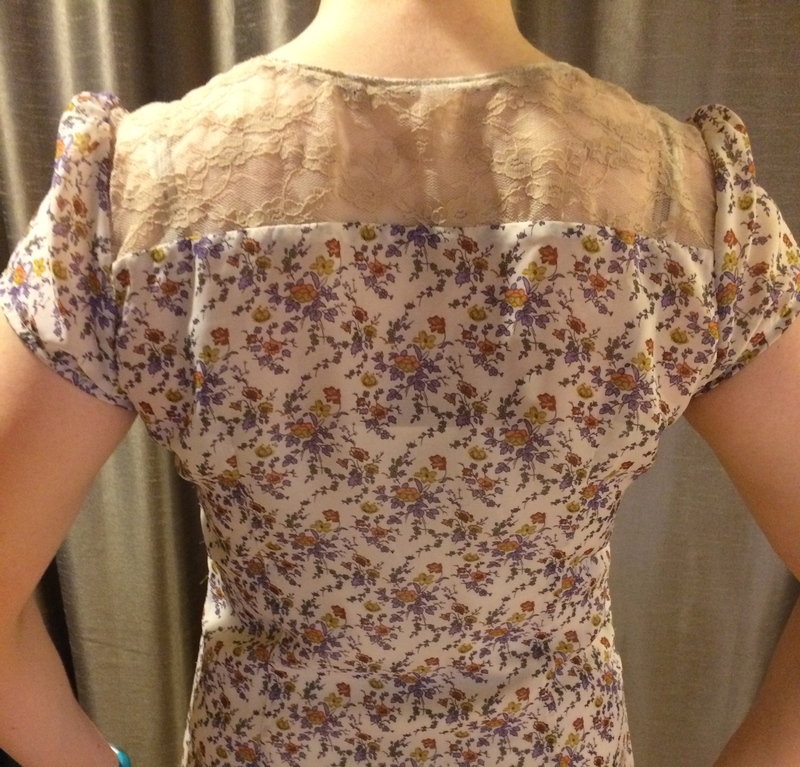 The blouse–it’s a go! 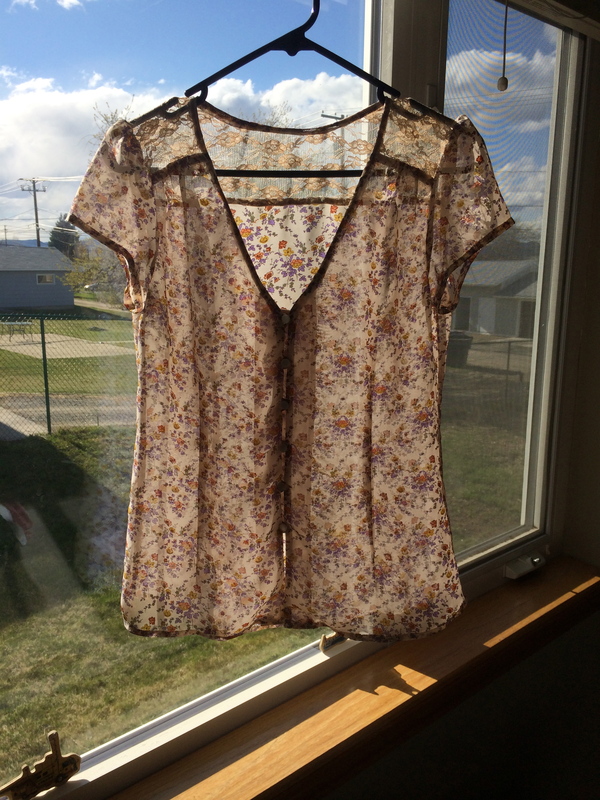 I ordered some tan lace from Fashion Fabrics Club that would go with a floral fabric that I purchased from JoAnn’s. I have used Fashion Fabrics Club before, and even ordered the silk chiffon for my wedding dress from them. The prices are reasonable, but the shipping seems to take forever (yes, I am spoiled by Amazon Prime). Future adjustments to the pattern: give myself a bit more ease in the sleeves. They are a bit tight if I bring my arms forward. However, I like how it fits and have worn it several times already! All-in-all a great top and fairly easy to make!